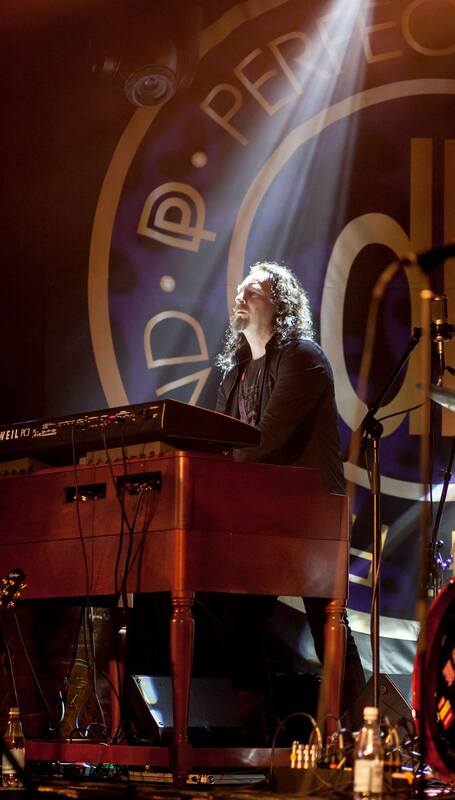 Review by Doogie White about recent gigs in Finland. 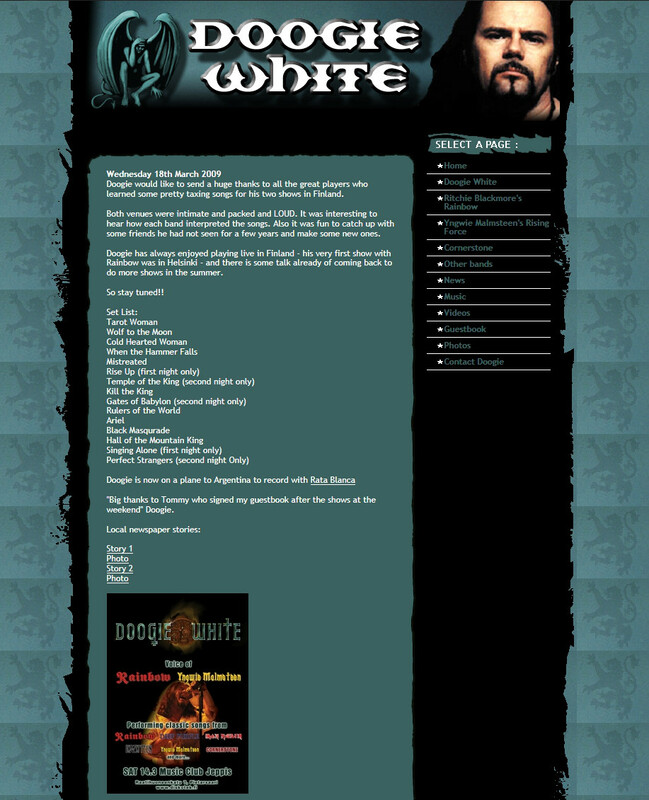 Published on Doogies official website March 18, 2009. Original source for the content. Doogie White in live performance @ Music Club Jeppis (Coverclub). March 14, 2009. Jakobstad, Finland. Jamming at the end of the Rainbow song Ariel. 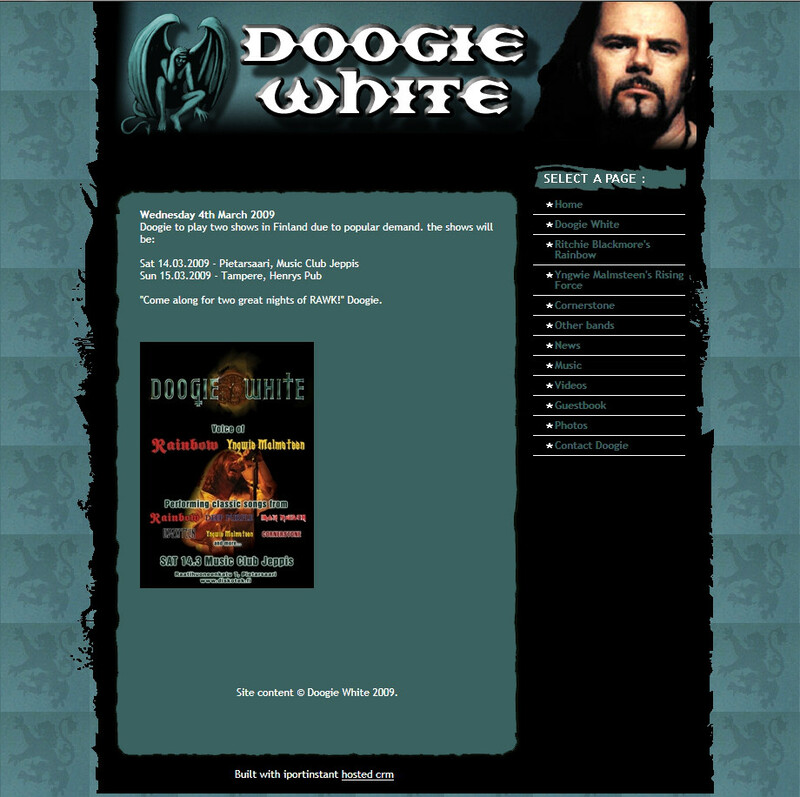 Announcement of upcoming Doogie White gigs in Finland. Published on Doogie White official website March 4, 2009. Live gig with Cover Club band feat. 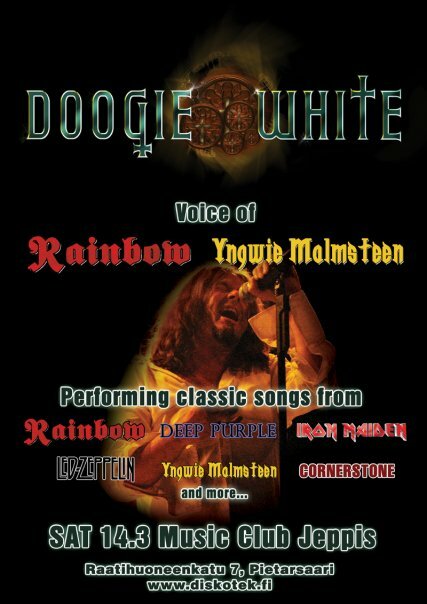 Doogie White (ex. Rainbow, ex. Yngwie Malmsteen, Cornerstone, Tank) at Music Club Jeppis (Jakobstad/Pietarsaari). March 14, 2009. 2009-02-21 was invited to Marko Pukkila’s (Fallout Moon, ex. Altaria) birthday party at Music Club Jeppis, Jakobstad/Pietarsaari to play a couple of songs. – Kenneth Nygård drums (Devious Imp, Observant). Congrats Marko hope you had a good time and enjoyed the music!